The saga continues ! A decision on the King’s Stables Road site will now be made mid February. Initially a separate issue to Avalanche reopening the ongoing issues with the Grassmarket and in particular its footfall means that it is now the key to turning things around. With news that footfall in November was down 17.6% year on year when last year wasn’t good it has to become a serious factor in our plans. 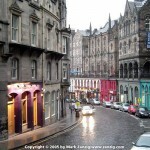 At the same time I truly believe the Grassmarket can be revitalised given a chance. I thought there was a great compromise in offering to take over when Analogue Books left. It would have given us a base/HQ I would have been happy to keep on whatever else transpired. However that hasn’t worked out and left us with one last throw of the dice before I look at something completely different. With footfall up slightly on the Royal Mile but down so dramatically in the Grassmarket it is clear that people are not too far away. At the same time nobody understands more or has fought harder to bring people back to the Grassmarket. As a consequence others have returned to the owners of Espionage given the shop we looked at next door is still empty to see if the premises can now be made available even for a short time. The idea is not only would it give Avalanche a place to sell off a lot of the great stock we have but it could also be used as a gateway to the Grassmarket promoting all that the Greater Grassmarket (as the larger area is called) has to offer. There was a similar idea for the police box at the bottom of the street to be used to promote the area but sadly that was sold to another party. While it is not expected to have the King’s Stables Road site fully functioning until 2017 there is much that can be done in the interim depending on whose bid is successful. On the other hand there is a possibility the site could simply be left dormant for a year while planning is approved and that would be a year too long for businesses in the Grassmarket. Even after that the place could just be a building site for another year. Consequently returning for a short time while things become clearer is a great solution for Avalanche. I would hope to know more later in the week. Otherwise there is a positive but very different way forward I will need to explore.